The online store is up and running! That means you can now find designer pieces online at the same sample sale prices we have in the store. Just think what this means for our brides from afar! Right now, we're just focusing on accessories - but we'll have gowns up in the near future. 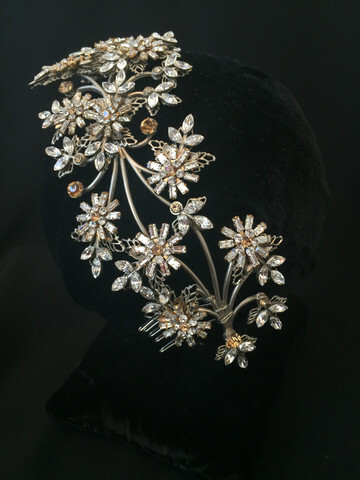 Find designers like Maria Elena Headpieces and Jenny Packham at way, way discounted prices.